Family lore says my grandmother was part Native American (Cherokee?). She was Winnie R (possibly Rebecca) Hicks. dob 1896-1902. dod 1926-28. Parents were George and ? Hicks. Where did your grandmother live? ‘Hicks’ is a prevalent name among the Mvskoke Creeks. 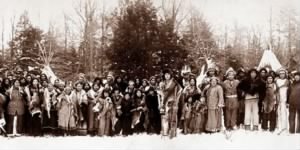 It would likely be difficult to trace any Creek or Cherokee lineage in your case as your ancestors apparently inter married with the European settlers and were not removed to Indian Territory. Therefore, they will not be on the Dawes rolls or the census taken during removal. Where did your grandmother live? When and where was she born? How would one go about finding out if they had native American heritage? Native people in the U.S. who accepted treaty terms and allotment payments were exempt from federal censuses as they did not pay taxes, but many participated for various reasons. Those living on reservations were sometimes censused by the BIA through their local agent as part of identifying people who were eligible for allotments. Be aware that due to racism many people of mixed heritage claimed less Indian ethnicity on some records than they actually had; you may find someone listed as the more socially acceptable one quarter NA on a census, but based on what you find about their parents/grandparents you’ll see that they would have to be half or more Native American. I’ve found this to be true in doing my husband’s Minnesota Chippewa ancestry and only figured out the reason for the discrepancies by talking with his elders and hearing their stories about how their parents or grandparents had to lie about their Indian blood quantum in order to get by. His grandmother remembered her own mother not being allowed to enter stores and having to wait outside, even in winter, while her children did the shopping for her. I’m unaware of any DNA testing lab that has yet built up a large enough database of Native American results to give a very definitive result, so records and research are still your best bet. I don’t know of any U.S. tribes that offer research help; in my experience they will direct you to do your own research. I have been searching for my grandmother for years to no avail. Her name was Mattie Womack, not totally sure of the spelling. She died possibly in the 1920’s and may have been married to Nathan Harris. Any help would be so appreciated. Zenith, I looked on ancestry. There’s a marriage cert for a Mattie Womack and Nathan Harris in Arkansas, Desha County, March 1, 1925. WHEN THE LAND GRANT PROPERTY IS SOLD TO SOME ONE ELSE OUT SIDE OF THE FAMILIES. DO THE MINERA RIGHTS GO WITH THE SALES? I FOUND ON THESE DEED OF THE LAND GRANT OF MY GRT. GRT. GRTFATHER’s THAT SAYS “ALL GO EXCEPT THE LESS OF ALL MINERAL RIGHTS, OIL, GAS DRILLING BENEFITS” DO THAT MEANS THE FAMILIES HAS SOME HIDDEN ROYAL THEY KNOW NOTHING ABOUT ALL THESE YEARS? Mrs. Jones – Generally land deeds have always specified surface features. The boundaries are measured and spelled out and marked in the old days by stone cairns, a certain tree, a stream or river’s edge, a fence shared with a neighbor, etc. Nowadays they are usually required by the mortgage holder to be surveyed and marked by GPS, as this is more permanent and accurate. Mineral rights below ground tend not to be included unless specifically assigned to go with the land on the deed. Or, as it sounds is the case in your family, unless specifically retained by the seller, assuming the seller had the rights to them in the first place. That’s why oil/gas companies can drill under your land without your permission by drilling from a neighbor’s land (or land the company owns or leases) simply by drilling on a slant or horizontally until they hit deposits under your property. A lawyer familiar with mineral rights would be able to help you figure out your situation. 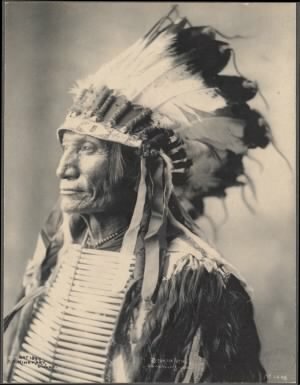 I have an ancestor that was to have been from the Blackfoot tribe who moved from Canada and ended up in Iowa. I can’t find any info on her parents. Her name was Tabitha Jane Haskins and she was born in 1802 and died in Iowa in 1878. Any help would be appreciated. I am looking for information on my grandfather’s lineage. His name was Robert Lee Adams, born on November 7, 1898 in Holmes County, Florida. He had a brother named Ollie D. and a sister named Alice Lee. My great great grandmother Mary M Hyde (Hide) was born around 1830 in Georgia. She married James Anderson Burke (Burks, Burkes) he was born around 1830 in Ireland and married Mary 10-4-1853 in Whitfield, Georgia. The family story is she was Cherokee. My dad looks like he has a lot of Indian in him, very black hair and kind of dark complexion as well as one of my brothers..My problem is I cannot find any record of her birth or anything about her. No parents names either. How to I prove she was or not. I did a quick search on Ancestry, was she married 3 times? If it’s the right one, I found two marriage certificates and a couple census records. She’s listed as white on the census. I don’t think it is her. James and Mary had a son my great grand father his name was John Willis Burks born 4/15/1854 in Georgia and he lived in Hot Springs, Ark and died 3/27/1934. I thought I found Mary M Burke in a 1860 census living in a residence of Sarah Dikes age 68, Mary M Burke age 31, MSJ Register Age 15,, EW Register age 11, Celia E Register age 9 , MJT Register age 6, and JBS Burk age 2 but that is not the right age for John in 1860 if he was born in 1854. No mention of James I know he lived till 1929 age 104 but I can’t find him where he died. The family story his she was a real short lady 4′ something and full blood Cherokee.